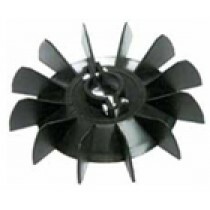 Black plastic fans with a split boss, which is tightened together via two bolts enabling the fan to be securely clamped to the motor shaft. Quick and easy to fit. Convenient for site work.